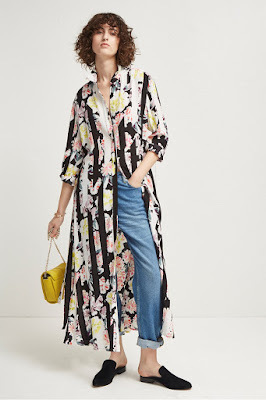 When I think back to my first French Connection purchase in the mid 70’s it was bold coloured cheese cloth, so this season I love the bold florals especially the dresses. From summer days to maybe an evening wedding party; French Connection has got a great array of patterns and styles. Who can resist these three French Connection Dresses? Command attention this summer in the Linosa Crinkle Off The Shoulder Maxi Dress. The sweeping maxi dress has a boho-inspired shape with a floating floor-length skirt and a relaxed off the shoulder elasticated Bardot neckline, whilst a tie waist cinches in the dress for effect. Dressed up with heels or styled simple with sandals, this floral maxi dress is an occasion wear winner. Bright colours and bold flowers mix with strong black stripes to refresh the maxi dress for the new season. The Enoshima Drape Maxi Dress is a comfortable shirt dress with a casual, draped shape. The maxi dress has a tie waist to emphasise shape and the draped dress is finished with splits along the sides. Dress up with heels, or try out the dresses over jeans trend and roll up the sleeves for a more casual look. A floral midi dress ensures effortless style all year round. 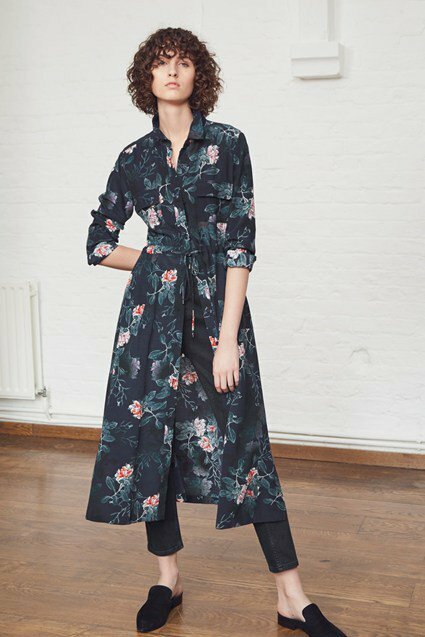 A long, lightweight dress with a relaxed fit and a classic shirt dress shape, the Kioa has a scattered floral print to brighten the muted blue tone. A button-down front and leg splits further emphasise the casual style. Worn over jeans to nail the dresses over denim trend, dressed down with trainers or taken out at night with heels, this dress is a multi-tasking wardrobe hero.